We proudly present to you our 2018-19 Membership Guide! 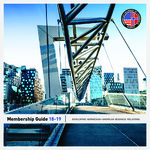 This annual publication serves to further promote exchange within AmCham’s extensive network of member and partner organizations throughout Norway and the United States. 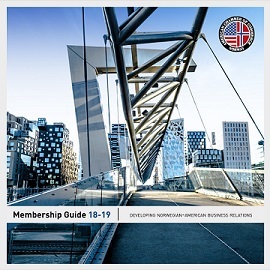 AmCham continues to work diligently on issues that facilitate US-Norway business exchange, including promotion of pro-business policy, events and trusted partner referrals. Norway is a nation dependent on international trade. As highlighted in our recent report, US Companies in Norway, American companies are cornerstones in the Norwegian business landscape.